The Scots Grey is a very old breed, going way back to the 16th Century. It has been known over the years under different names which has made it difficult to trace its precise history. 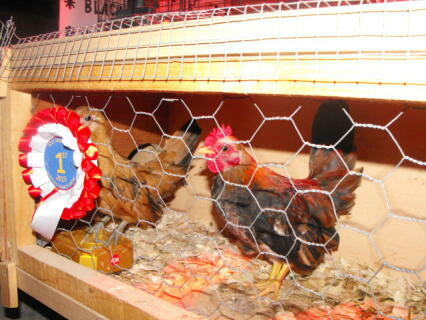 Leading poultry historians think that the breed is a refinement from the Scottish native fowl which was found on farms. It is now a rare breed and mainly bred for exhibition purposes. The Scots Grey is known for its hardiness and its ability to thrive in any climate conditions. They are layers of large eggs; this is quite surprising for the size of the bird. 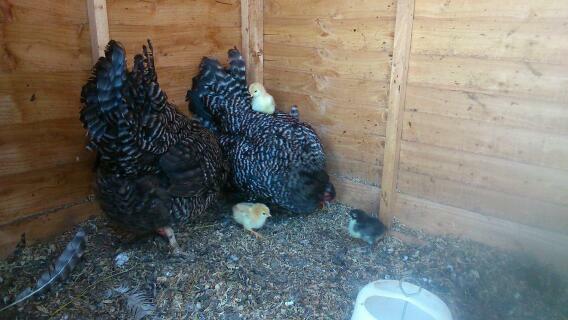 The chicks grow well and mature quickly. A Scots Grey is classed as a non-sitter. It is a good all round layer of whitish eggs. It is quite a vigorous breed and an excellent forager, therefore needing plenty of space. They do prefer to roost in trees. The Scots Grey is a long legged, upright standing bird. It is possible that it may have both Dorking and Game blood. 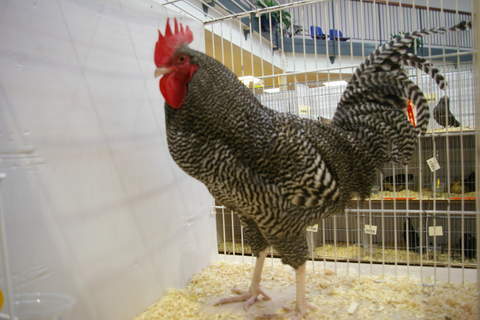 Its markings are very similar to that of the Barred Plymouth Rock. The only difference is that the Scots Grey is a more slender bird and the barring is not as distinct. There is only one colour and pattern in the Scots Grey and that is barred. The earlobes are red and the eyes are amber. 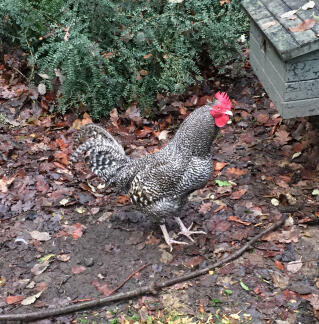 The beak is white with black streaks. The legs are white with black mottles. Scots greys are beutifull birds and become tame very quickly. Some of them can have a fault with their feathering but otherwise a very lovely bird. 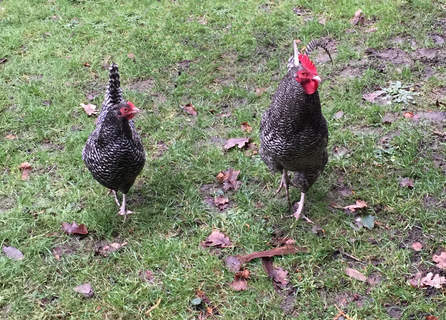 My two bantams come running up to me every time I walk into the coop. They are very flighty birds and can get scared easily but they are are very daring and try to be the boss. 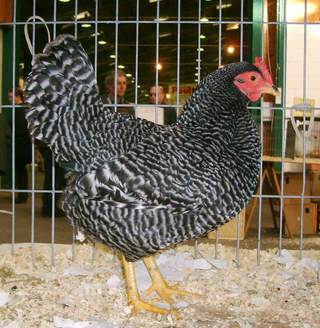 The bantam version of the Scots grey is very small and can escape easily. Despite all the critism they are amazing birds and worth every penny. Scots Greys are a very friendly breed and they are great for a first flock. They can sometimes dig in your garden which can be quite frustrating but they make up for that by being such a beautiful bird. 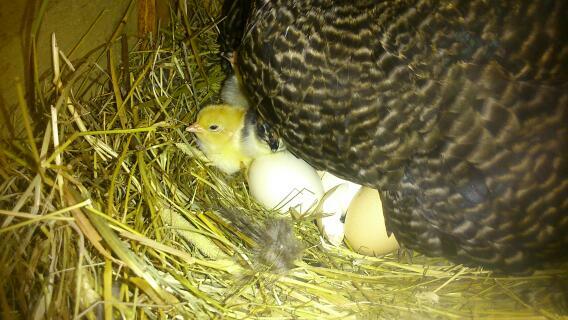 Egg produiction is good even in the coldest winters. 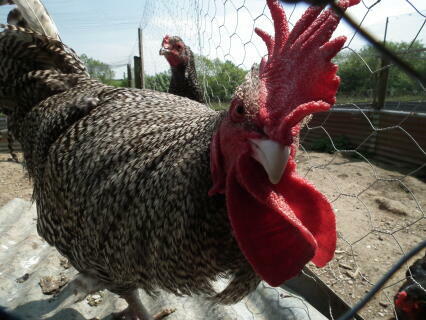 Overall these are great chickens to have. 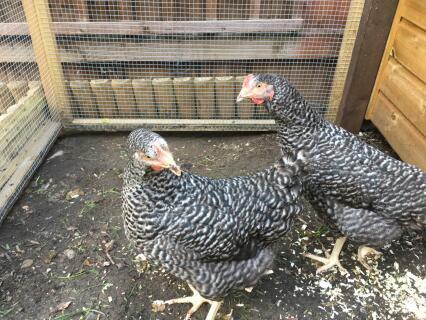 SCOTS GREY BANTAMS- I have had this breed for well over 20 years- they are packed full of character and are a very proud looking bird.They tame easily for treats. They are what I would call "stackyard" birds and would prefer to be on a midden in a farmyard- however I do keep some in an ark successfully but the ark must be large enough to give them plenty of room to spread out ( and dig!) 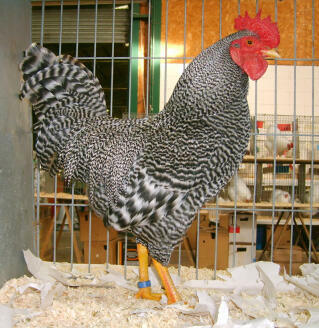 Scots Greys Bantams are good layers, laying a large egg for their small size.